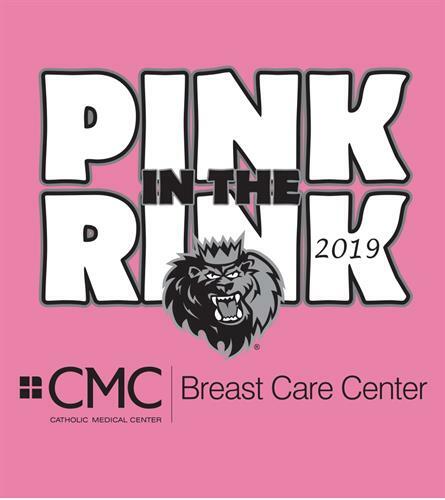 The Manchester Monarchs will be wearing exclusive Pink in the Rink inspired jerseys. Game - worn Jerseys can be bid on during a silent auction. Raffle tickets can be purchased to try and win an exclusive jersey! A portion of all profits will go directly to the Breast Care Center at CMC.